A key component of Transurban’s customer strategy was improving digital services across the entire organisation. This was based on the need to deliver enhanced mobile services to customers, whilst positioning the organisation as a digital leader in the transport industry. A stipulation of the project was to utilise data contained within existing systems, rather than introducing a new backend system for the mobile application. In order to effectively define and address Transurban’s challenges and subsequently provide customers with the ability to self-service, an extensive discovery phase and definition of new service agreements between micro services and the backend system was required. Following the discovery phase of the project, Versent provisioned an API platform between the existing backend system and the new mobile application. This was to allow data to be drawn from multiple sources and arrive consolidated at the front-end for the application user. “With the combination of API Gateway and Microservices development we built a services layer that is secure, high in quality and more importantly reuasblable. What this means is any other business unit within Transurban that would like to consume and build products and services around it, can do so with speed and confidence,” said Naiker. 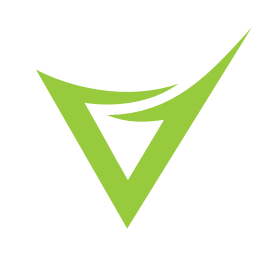 Once the link had been established, Versent in collaboration with Transurban’s DevOps team built a series of microservices on an enterprise AWS cloud platform, employing a DevOps practice which enabled the quick stand-up and recycling of environments, and allowed repeatable processes and scalable services to meet growing customer demand. Each microservice represented functionality of the application, including features such as customer transit records and mobile payments, and cached responses as a means of enhancing performance. An API gateway was implemented to provide a layer of security and governance over how the API was utilised. In addition, an in-built dashboard provided Transurban with a graphical representation of the overall performance of the application. The API service was designed to plug into other services for the business to consume at a later time and even interact with other affiliated organisations if required. “To date, we have built 3 additional mobile applications leveraging the existing microservices at a fraction of the cost and time, whilst maintaining high quality. This is a true testament of achieving time, cost and quality through a reusable microservices framework” said Naiker. By utilising API capabilities and functionality, Transurban was able to draw data from its existing backend system to provision a new mobile application, and have it specifically designed as a scalable solution that could meet future demands. “An example, we were able to spin up a project with a new product offering utilising the existing microservices in as little as 2 days. This is through the introduction of automated testing as well as using the existing framework of ECE - full stack automation” said Naiker. The new mobile application has improved Transurban’s digital services, enabling the organisation’s customers the ability to make quick and easy transactions from their mobile device. Added functionality which allows customers to securely enter their login details and remain logged in for a six-month period, alleviating the need to log in every time the application is used, has helped to improve the customer experience. Internally, the solution delivered better insights on initiatives due to improved metrics, dashboards and logging functionality. Once released, the uptake of the application was also much quicker than anticipated – reaching 3x the amount of expected users in just one month. Due to the flexible design, the service easily scaled to meet demand, delivering a performance measure that could directly attribute to business success.